What is the American dream? For some, it might mean living a richer life. After all, when James Truslow Adams coined the term in 1931, he wrote that “life should be better and richer and fuller for everyone” based on ability and achievement rather than social class. Over the years, though, the American dream has come to mean many things to many people. To find out how Americans define it now, GOBankingRates surveyed more than 1,000 adults across the U.S. We also asked questions to gauge Americans’ views about their ideal standard of living. The responses might surprise you. Whether it’s upward mobility, homeownership or the ability to provide a better life for your children, the American dream means different things to different people. In large part, America was built on a strong work ethic. “Work hard, boost yourself up by your bootstraps. … These beliefs are foundational to our country and the message that is passed to those coming to the country,” said Michael Kay, author of “The Feel Rich Project” and president of Financial Life Focus, a financial planning firm in Livingston, N.J. That’s likely why people are more likely to associate success through hard work with the American dream, he said. The other things that might be associated with the American dream — homeownership, happiness and material comfort — are results of hard work. “Hard work … trumps all and is the key to all the rest,” Kay said. The idea that the American dream is “success through hard work” isn’t limited to just older generations. It was the top response among all age groups, which reflects how pervasive and timeless this ideal is. However, older Americans were more likely than younger generations to define the American dream as equal opportunity. About 20 percent of baby boomers ages 55 to 64 and 22 percent of adults 65 and older answered that they associated equal opportunity most with the American dream. This might have to do with the fact that these Americans came of age during the civil rights movement. Although “success through hard work” was their No. 1 answer, young millennials ages 18 to 24 were also more likely than other generations to associate “happiness” and “material comfort” with the American dream. Today, the American dream is defined as “success through hard work” — but what exactly is “success” to Americans? If they could paint the perfect life for themselves, what would it look like? To get a better sense of Americans’ ideals, GOBankingRates asked respondents a few more questions related to work benefits, homeownership, salaries and retirement. Here’s what they had to say. To identify Americans’ ideal standard of living, GOBankingRates asked respondents how much they need to earn to afford their ideal lifestyle. The survey found that the majority of Americans have a realistic standard of living. The top response for annual income needed to afford an ideal standard of living was “at least $100,000,” with 27 percent choosing this amount. That is nearly double the median household income of $57,617, but it’s not as unrealistic as, say, an income of at least $1 million, which about 10 percent of respondents said they would need to earn annually to afford their ideal lifestyle. Men were more likely than women to say that they needed to earn at least $1 million to afford their ideal standard of living — 10 percent versus 7 percent. 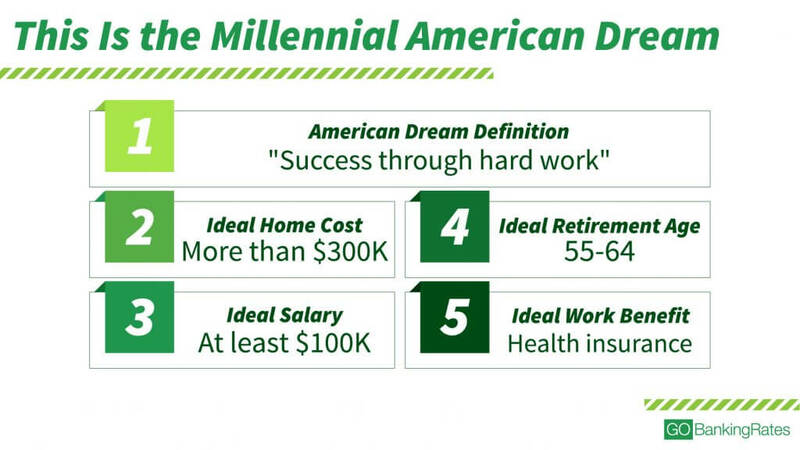 And millennials were more likely than older generations to say they need to earn this much for an ideal life. Compare Yourself: How Do You Stack Up to the Average Income in Your State? 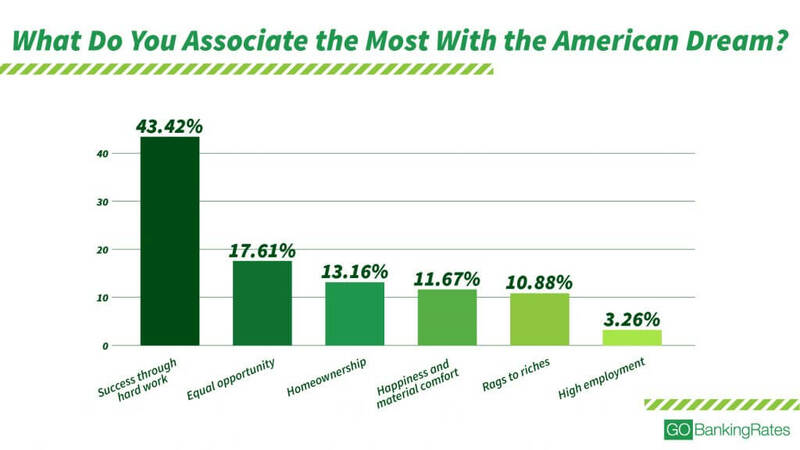 Americans also appear to be realistic about the cost of their ideal home. About 26 percent said their ideal home would cost less than $200,000, and about 21 percent said $200,000 to $300,000. The median home list price in the U.S. is $257,990, according to Zillow. Only 9 percent of respondents said their ideal home would cost $1 million to $2 million. Men were more likely than women to say their ideal home would cost this much — about 12 percent versus 6 percent. And young millennials ages 18 to 24 were more likely than other age groups to say their ideal home would cost $1 million to $2 million. Older Gen Xers ages 45 to 54 were the most likely of any age group to say their ideal home would cost less than $200,000. To get a better sense of Americans’ ideals when it comes to their careers and retirement, GOBankingRates asked, “Of the following, what is your No. 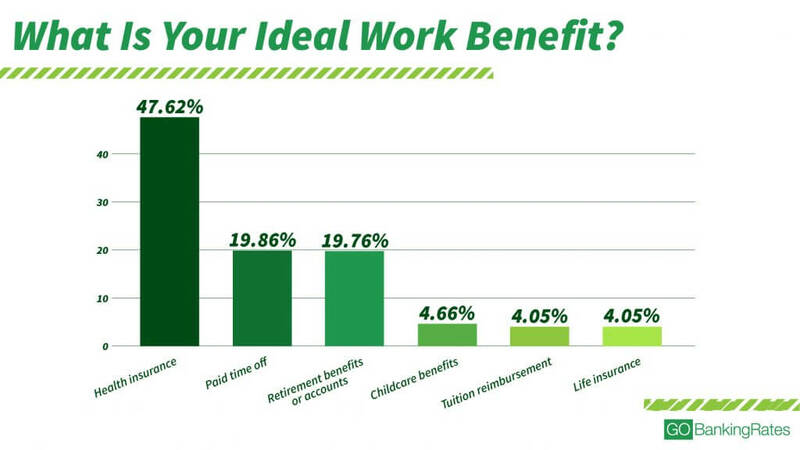 1 ideal work benefit?” Respondents could choose one of the following answers: childcare benefits, health insurance, life insurance, paid time off, retirement benefits or accounts, or tuition reimbursement. Health insurance was the most popular response by far, with nearly 48 percent of respondents naming it as their ideal benefit. The other two most popular benefits were paid time off and retirement benefits or accounts, with 19.86 percent and 19.76 percent of responses, respectively. Health coverage likely is the most valuable benefit for Americans because they’re worried about having to pay for the rising cost of healthcare and insurance on their own, said Scott Bishop, executive vice president of financial planning with STA Wealth Management in Houston. “They have heard … horror stories of bankruptcy due to underinsured healthcare,” he said. Not surprisingly, older survey respondents valued health insurance more than younger respondents. 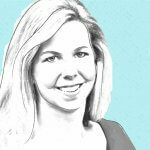 More than 50 percent of respondents 45 and older named health insurance as their ideal benefit. On the other hand, less than 45 percent of respondents 44 and younger said health insurance is their No. 1 work benefit. Research by the National Institutes of Health has found that health costs rise with age — especially after age 50. The chances that one-third of Americans will actually be able to retire by ages 55 to 64 might be slim. That’s because another GOBankingRates survey found that 42 percent of Americans have less than $10,000 in retirement savings. Workers with a pension might be able to afford to retire at ages 60 to 65, Bishop said. Otherwise, people will be better off working until the full Social Security retirement age — ages 66 to 67 for most — to avoid seeing their benefits reduced, Bishop said. About 31 percent of survey respondents said their ideal retirement age is 65 to 74. Working until age 70 might be an even better idea because people are living longer. This will give workers more time to build retirement savings and fewer years in retirement for which they’ll need savings, Bishop said. About 12 percent of survey respondents said their ideal retirement age is 75 or older, making this the third most popular retirement age. Keep reading to see how some Americans ditched their daily grind to live their dream life. Methodology: This GOBankingRates survey consisted of five individual surveys, each with a sample size of at least 1,000 respondents from all 50 states and Washington, D.C. The survey asked the following questions: (1) “How much does your ideal home cost? (Note: U.S. median sales price is $315,200)”; (2) “What do you need to earn a year to be able to afford your ideal standard of living? (i.e., ideal home, car, etc. )”; (3) “What is your ideal retirement age?”; (4) “Of the following, what is your No. 1 ideal work benefit?”; (5) “Of the following, which do you associate the most with ‘the American dream’?” Responses were collected through Google Consumer Surveys conducted from Feb. 20 to Feb. 22, 2018, and responses are representative of the U.S. online population. The survey has a 4.5 percent margin of error. See how Lewis Howes built his million-dollar empire.